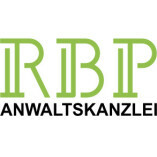 RBP is a law firm with its seat in Wroclaw, Poland. Our attorneys-at-law support your business within any area of Polish law, on every step. While creating a limited liability company under Polish law, acquiring real estate in Poland or during business negotiations with a Polish partner... we're here for you!